My role is vast as I oversee operations across eight depots. I am responsible for implementing company policy, identifying operational measures, examining finance and improving overall performance. Managing our fleet is key, monitoring market values to make sure that we buy and sell vehicles for the right price at the right time. I manage our team of more than eighty staff. I am extremely hands on, getting involved in most areas of the business. Having worked in various positions at Arrow Self Drive over the last sixteen years, I have an in-depth knowledge of how Arrow operates across all departments. 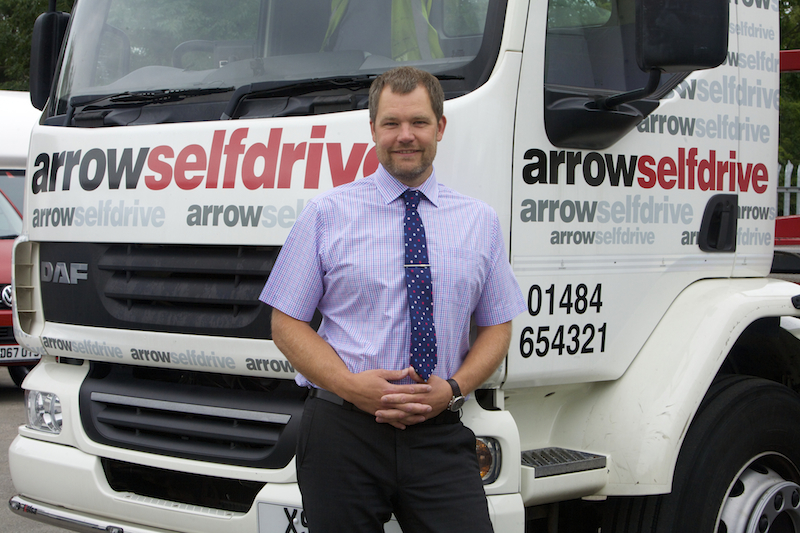 Established in 1988, Arrow Self Drive is a family-run business and Yorkshire’s largest independent vehicle rental company with eight depots throughout the region in Huddersfield, Wakefield, Bradford, Sheffield, Leeds, Barnsley, Hull and Knaresborough. We mainly deal with local businesses, hiring cars, vans, minibuses, tippers, trucks and dropsiders on short, flexible and contract hire basis. We also sell our ex fleet vehicels through our sales department in Wakefield. I studied an undergraduate degree in business at the University of Hull. After I graduated in 2001, I went on to complete a graduate scheme in a Peterborough company. I only stayed in the role for a short time as I didn’t feel that the role was aligned with my work ethic; I’m more of a doer than a follower. I found that the role didn’t allow me to be very pro-active or use my initiative. I followed in my father’s footsteps and joined Arrow Self Drive in 2002, aged 22. The company was expanding and opening a new site in Wakefield, so it was the perfect opportunity to get involved in the family business. In 2012 I took over as Managing Director and haven’t looked back since. A great leader needs a strong personality, but must also be approachable. He or she must be able to say no when necessary, and most importantly, a great leader must have self-belief in everything they do for the good of the business. I believe that the best leaders are those who can make wise decisions quickly. The biggest challenge I have faced in my career has been trying to get my head around new technology and the digital side of running a business. I have also found HR challenging; people management is definitely a skill that comes with experience. I love spending time with my family, going on holidays and short breaks is a great way to relieve stress. Wales is one of my favourite destinations, but we also like to travel and see new places. When you were little, what did you want to be when you grow up? I wanted to be a racing car driver; I’ve always had a passion for it. My dad tells me that as a toddler I used to stand by the window calling out the names of all the cars and trucks that passed by outside. My pet hate in the workplace is laziness. Thankfully, we hire people at Arrow Self Drive that share our company values, drive and passion. 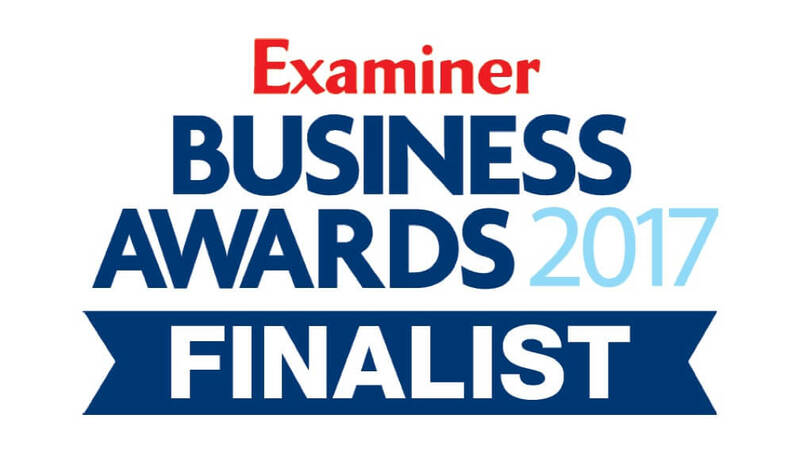 In five years’ time we will be maintaining our position as the number one vehicle-hire company in Yorkshire. We will continue to grow our profile and reputation across Yorkshire, with more customers and at least 2500 vehicles on fleet. In the future we will have more systems and processes in place and the company will be completely paperless. My advice to any aspiring business leader is to make sure you have a good team behind you. Invest in your team and your business will thrive. If you weren't in your present position, what would you be doing? If I wasn’t in my current position I would still be doing something in the motor trade industry. I’m lucky to work in an industry that I’m truly passionate about. What is the worst mistake you’ve ever made? The worst mistake I ever made was bottling up my problems rather than dealing with them straightaway. What’s your ideal day away from the office? My ideal day away from the office would be a holiday in Wales with the family. Family time is so important to me, I try to ensure that we spend quality time together regularly. My hobbies include driving, cycling and spending time with my family. What is your top time saving tip? My top time saving tip is simply to start the day a littler earlier than everyone else so that you can prioritise your tasks for the day without being distracted. My favourite time of day is first thing in the morning in summer. The roads are so quiet and everything is peaceful before rush hour begins. A classic pair of jeans; a staple in anyone’s wardrobe. What’s the best thing about being in Yorkshire? There are so many great things about Yorkshire, but my top two have to be the people and the countryside. Yorkshire people are so friendly and have the best humour! What would your epitaph be? He never forget where he came from.